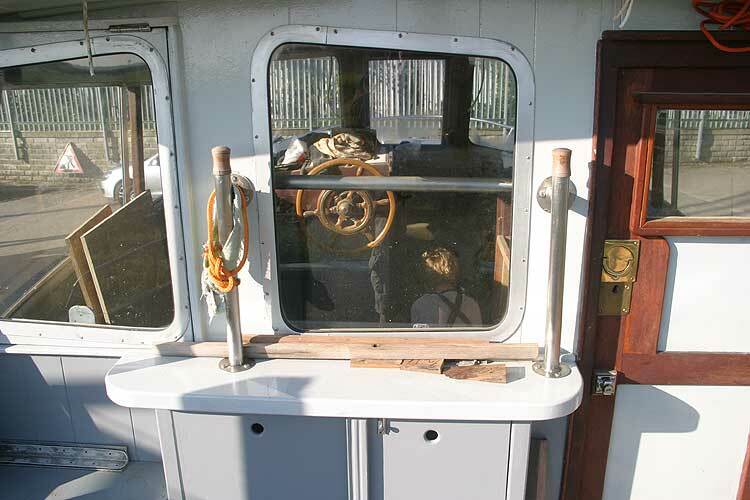 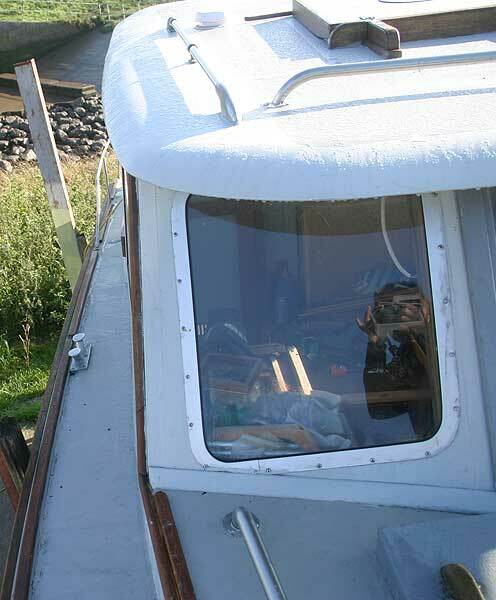 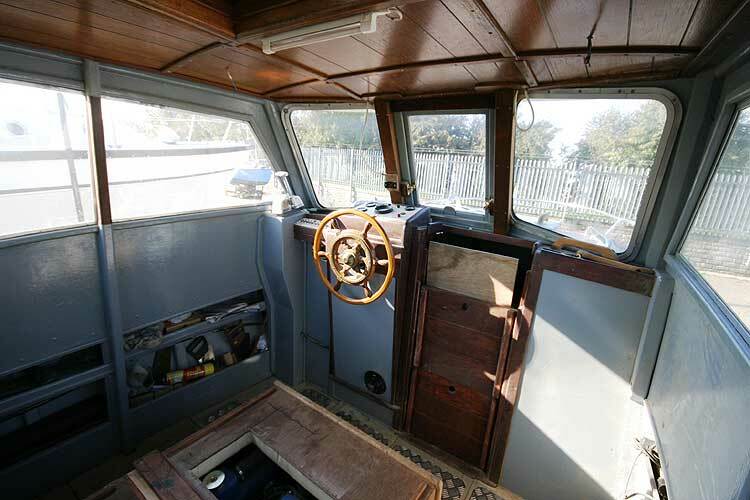 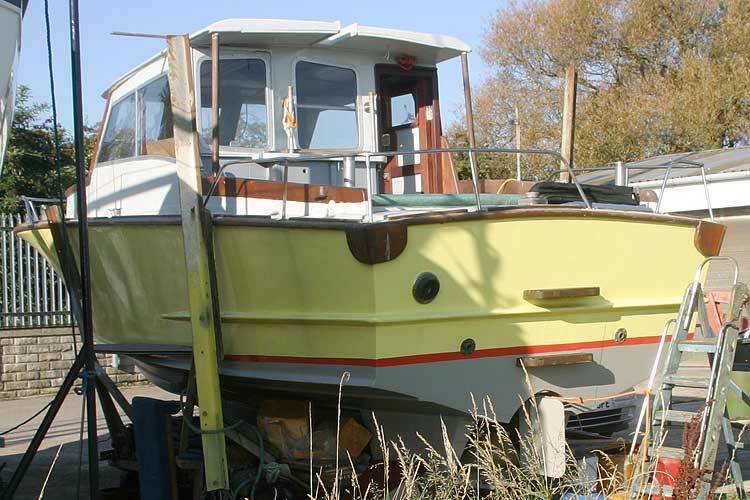 Now re-marketed, offers are invited for this boat that literally fell off the back of a lorry! 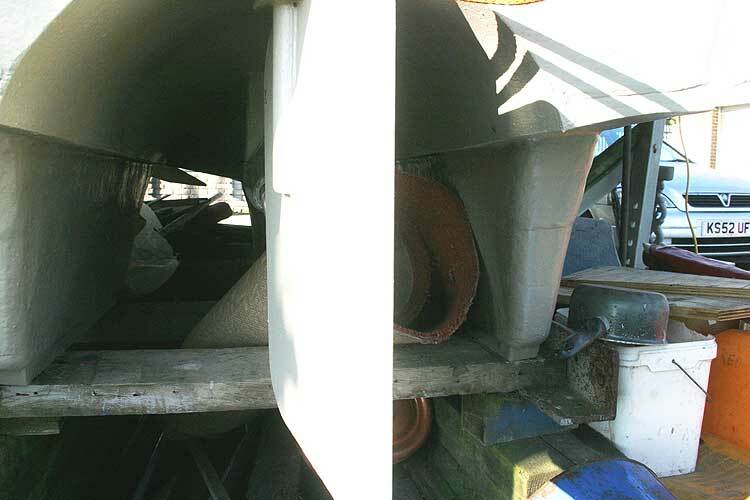 The lorry then drove off down the M6 leaving Senora on her roof. 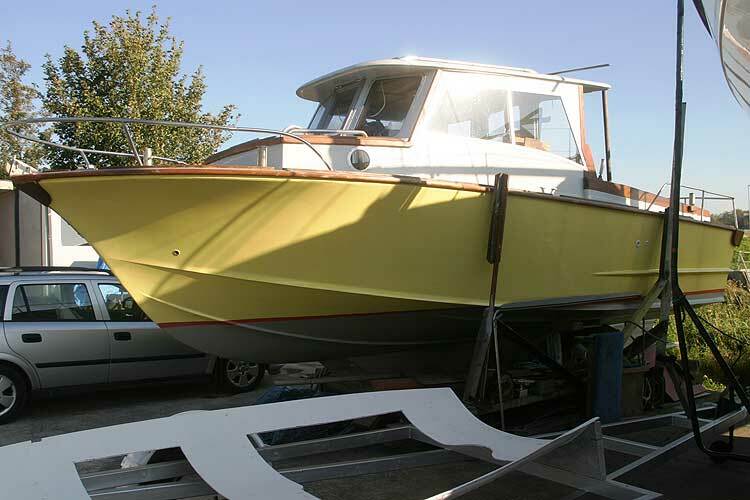 Rescued by Eddie, a retired boat builder, many hours were spent turning her into the unique vessel she is today. 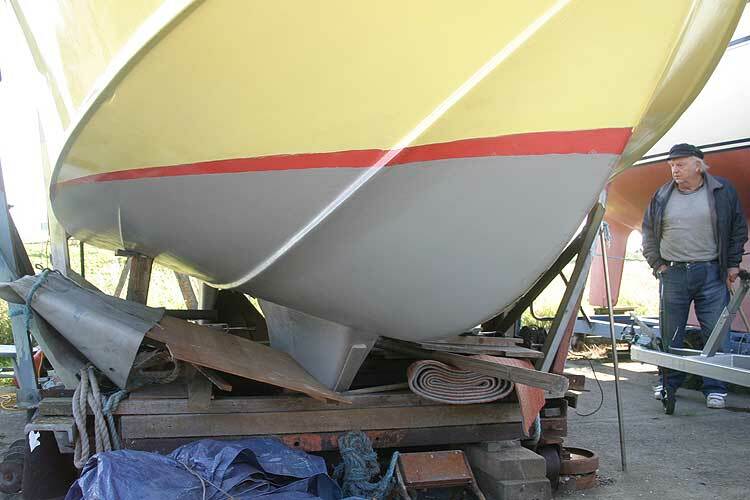 Now, with the project nearly completed, Eddie needs to hand the task over to someone else. 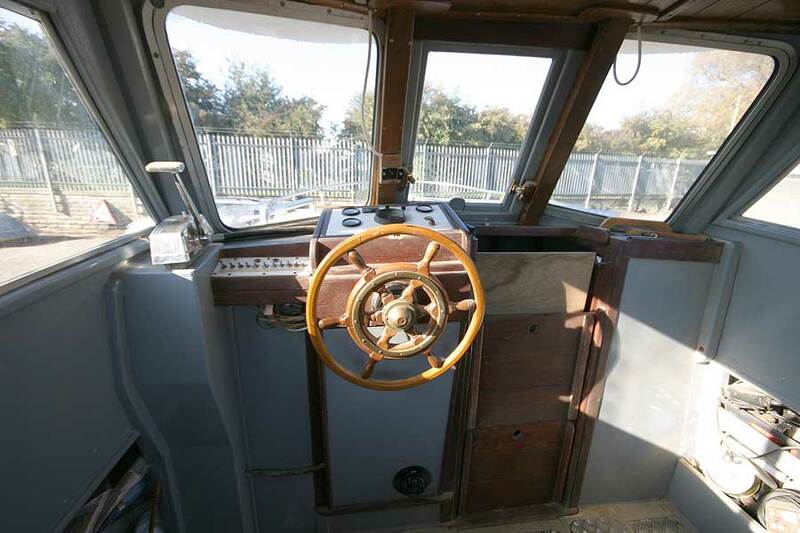 It is an exciting opportunity so get in touch and make an offer. 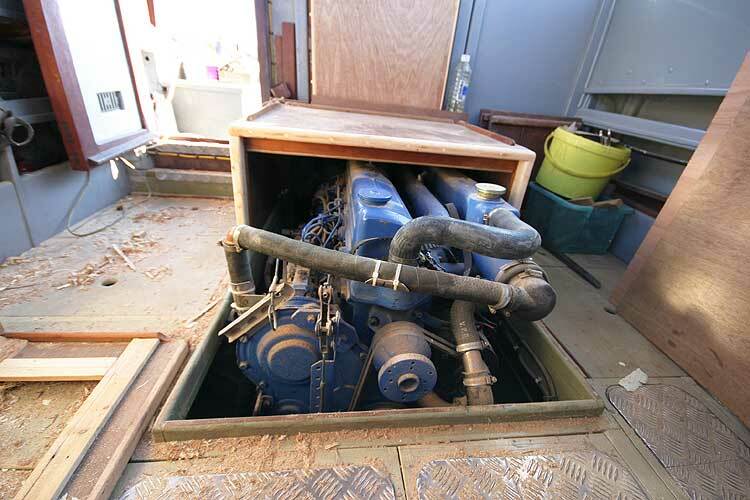 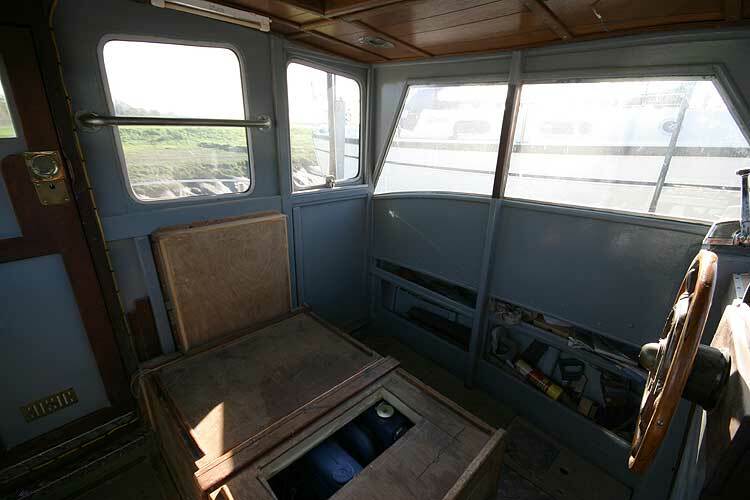 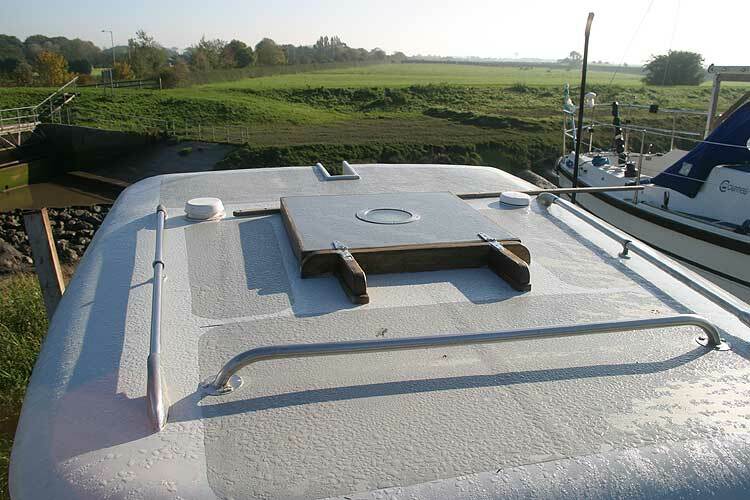 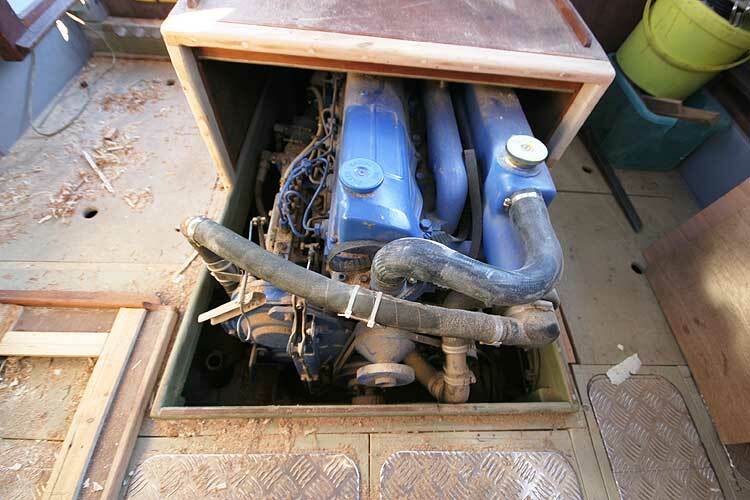 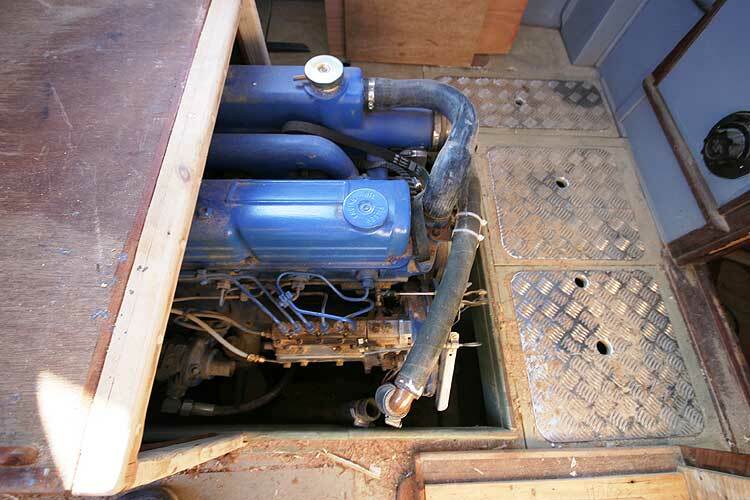 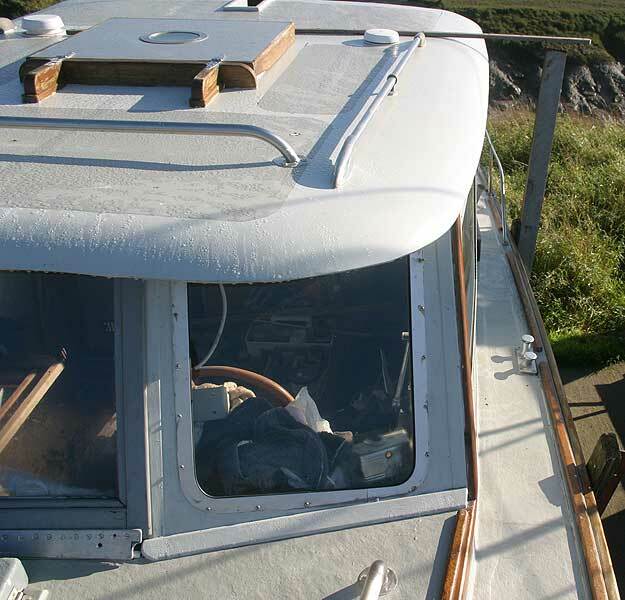 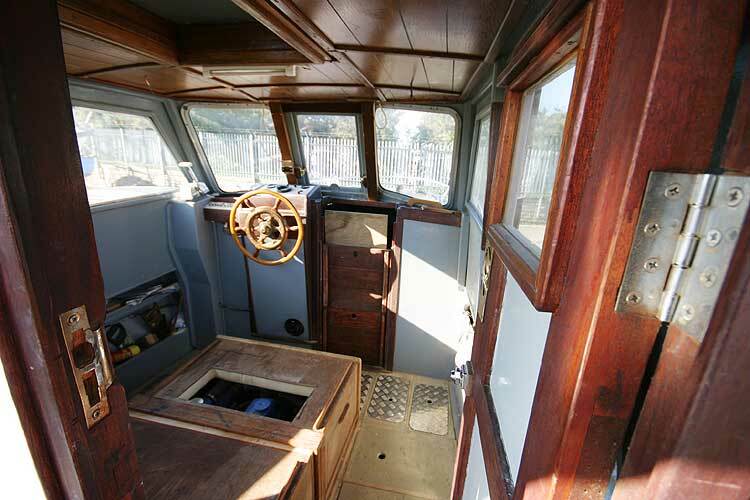 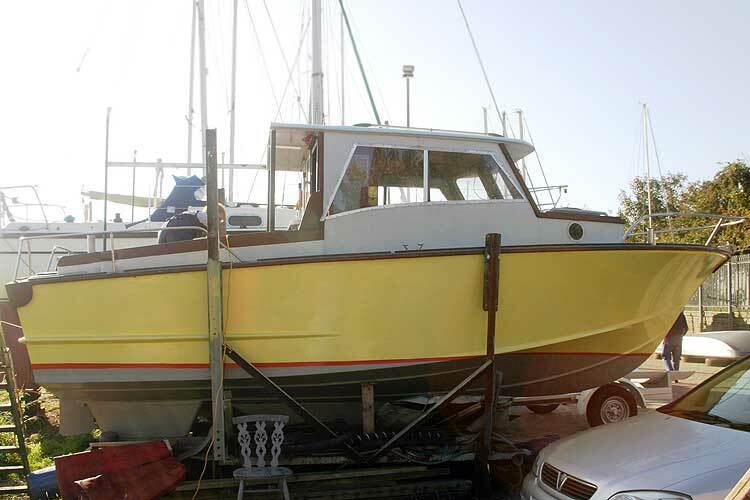 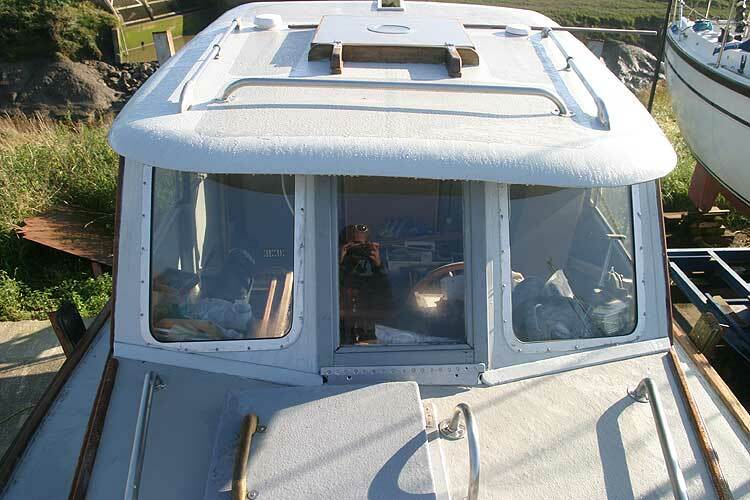 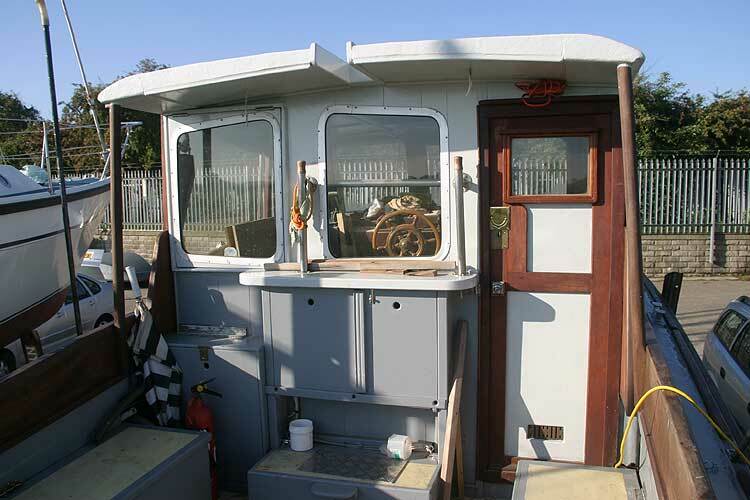 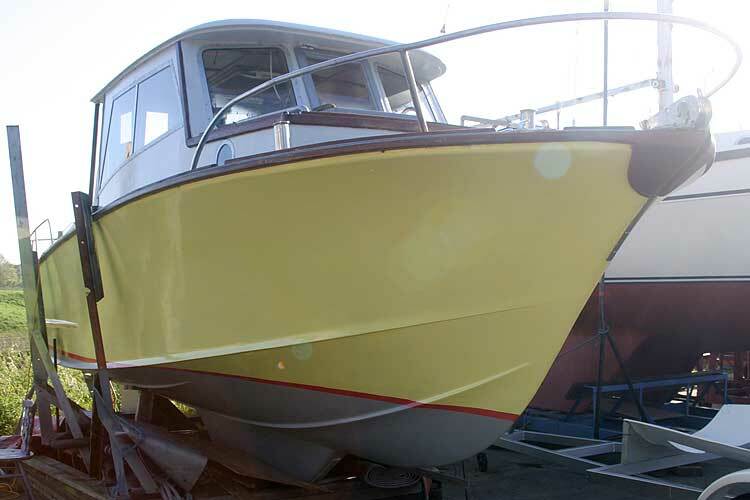 The original Senior 23 hull has been radically altered to present as a strong well constructed vessel suitable for sea angling, towing a small trawl net or in a similar role. 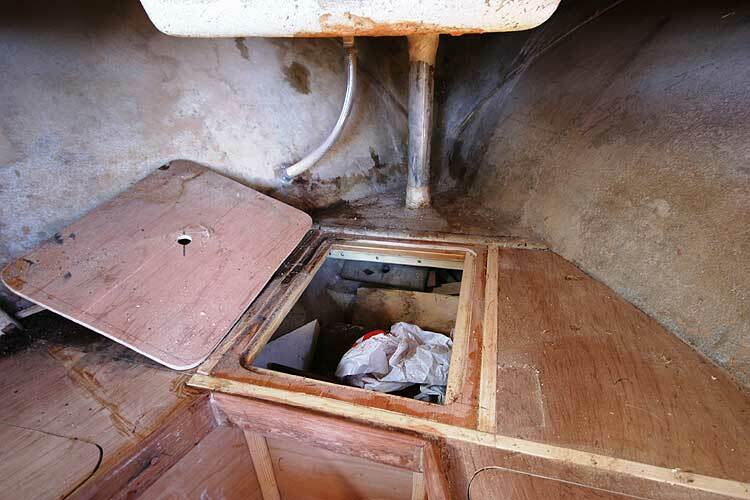 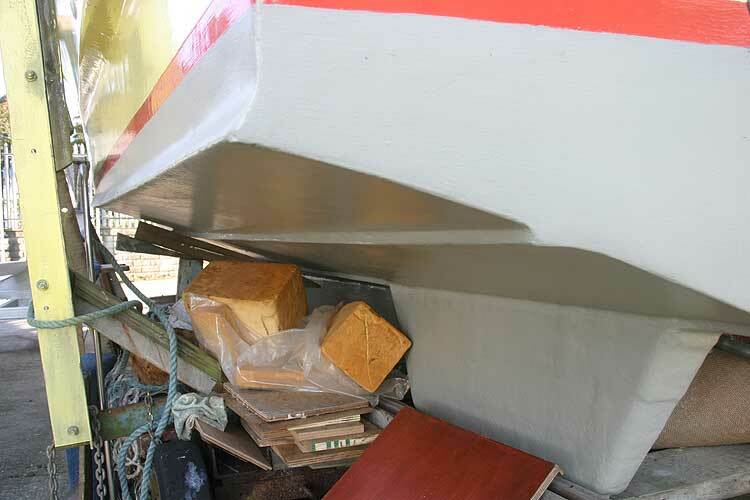 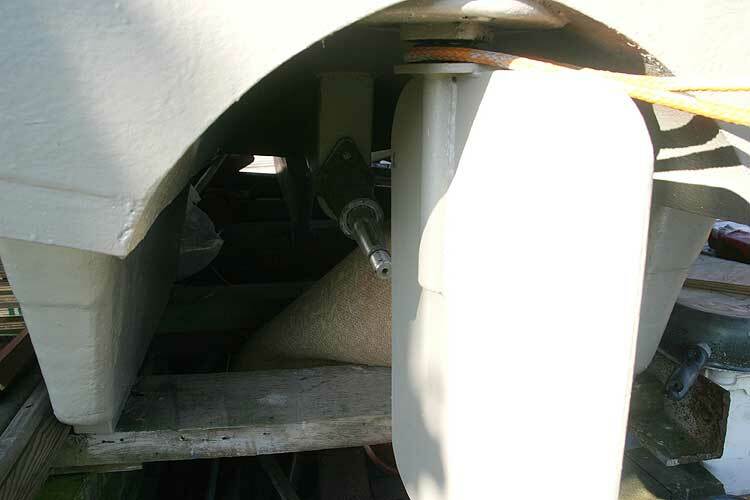 The hull has been adapted to make her able to take the ground without compromising the propeller and rudder which are located in a tunnel in between the keels. 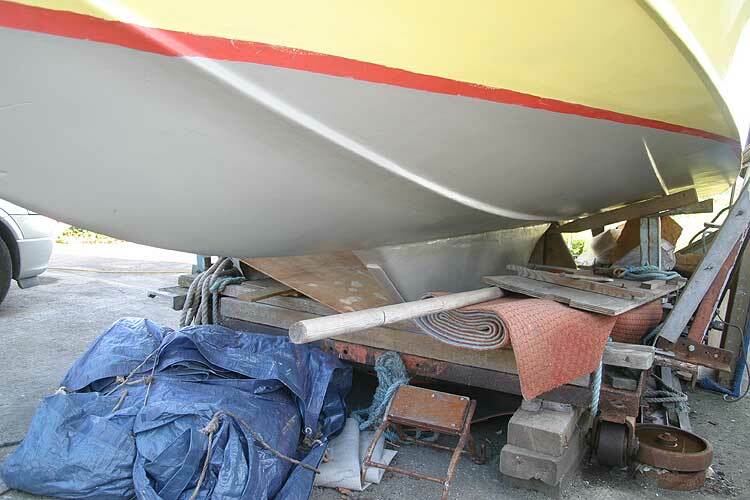 This measure will also prevent a net from fouling the propeller and rudder. 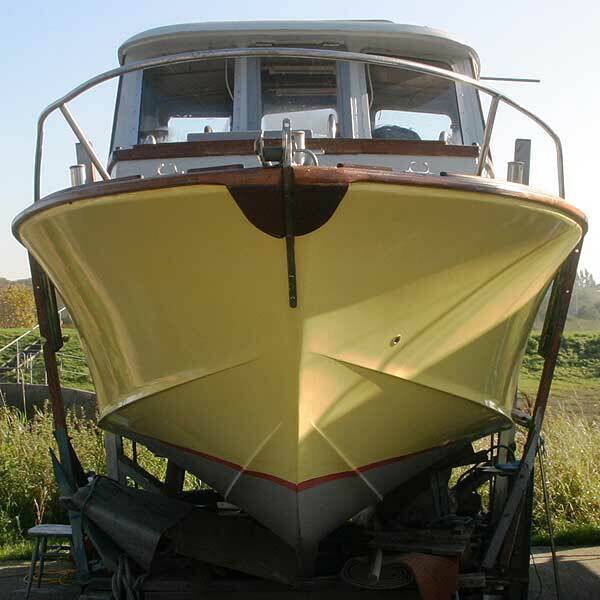 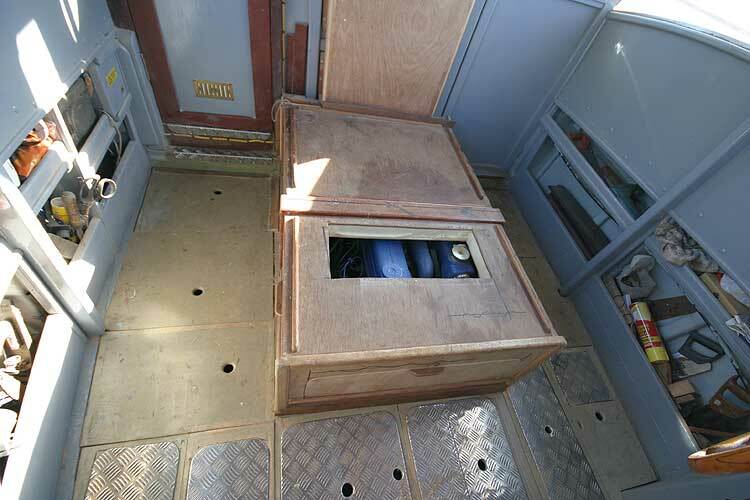 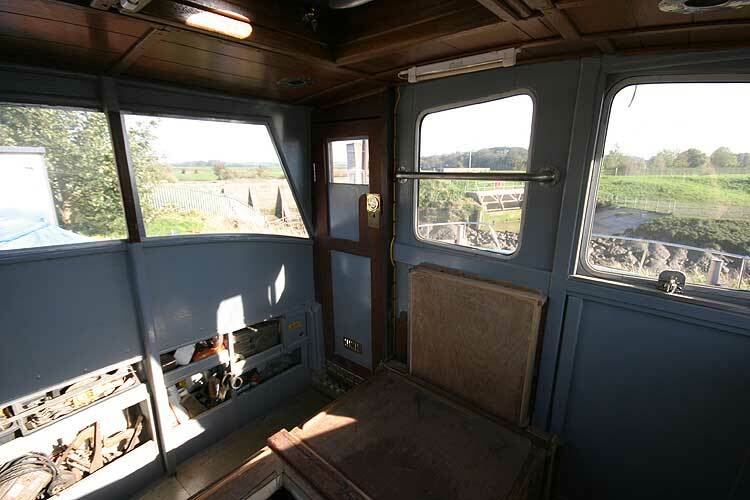 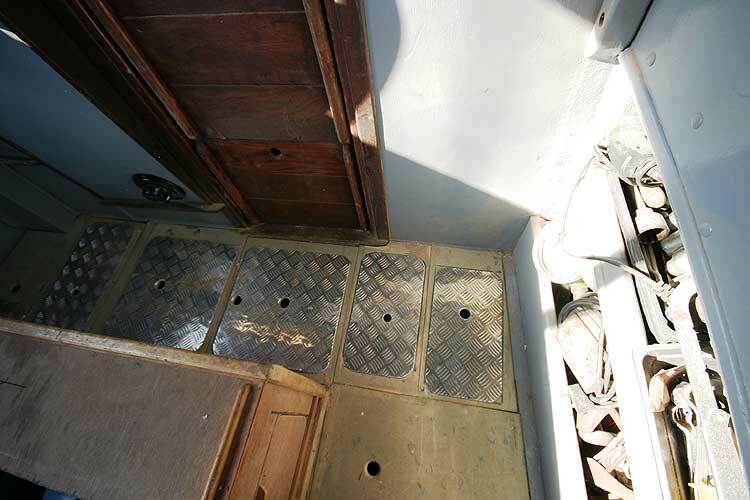 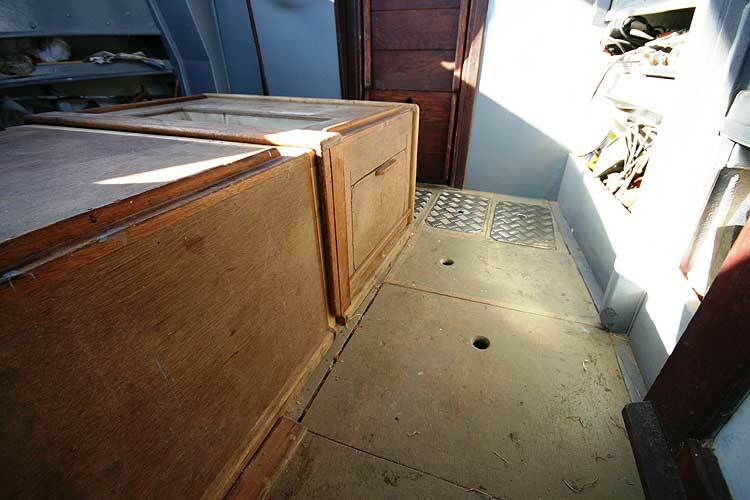 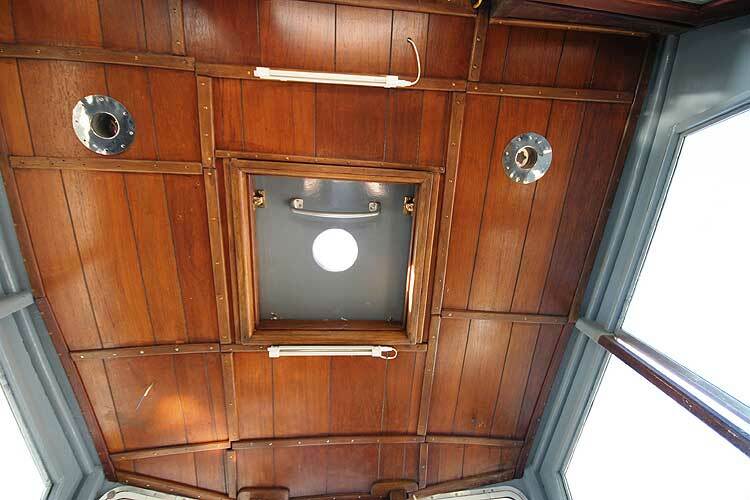 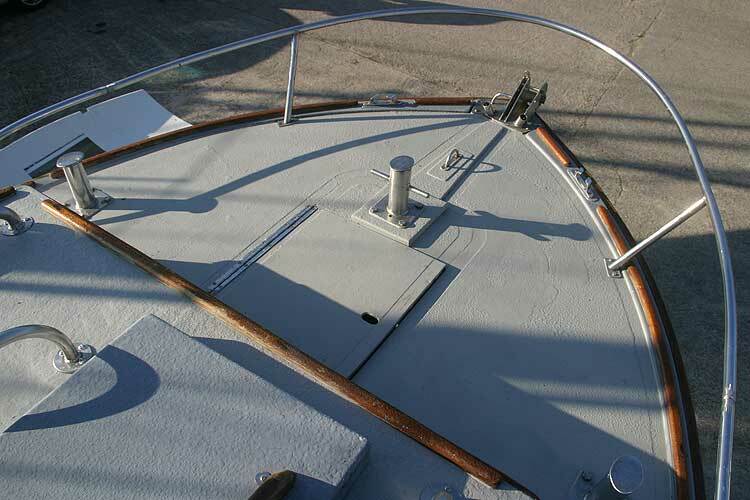 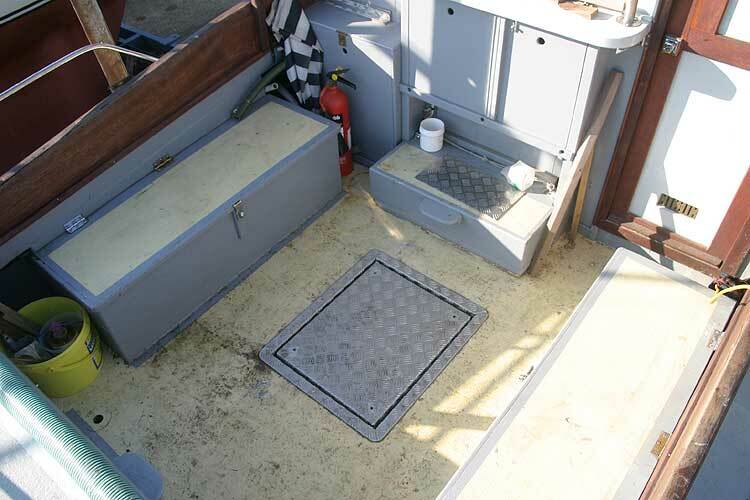 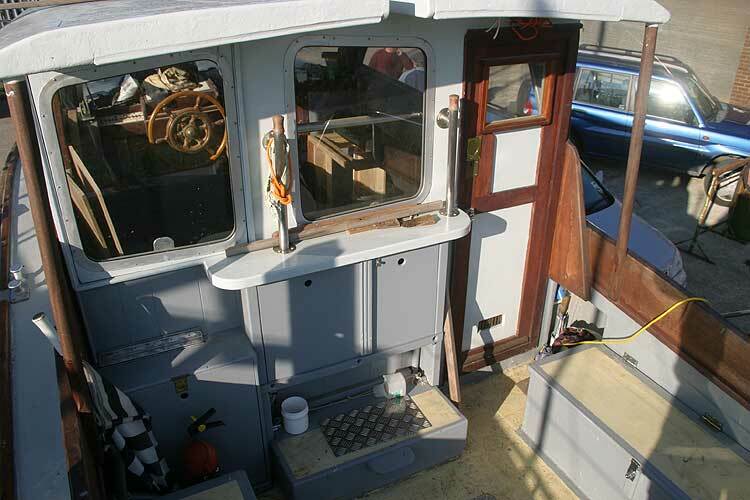 She is designed to have a mast fitted in a recess abaft the wheel house, this could carry a steadying sail if required. 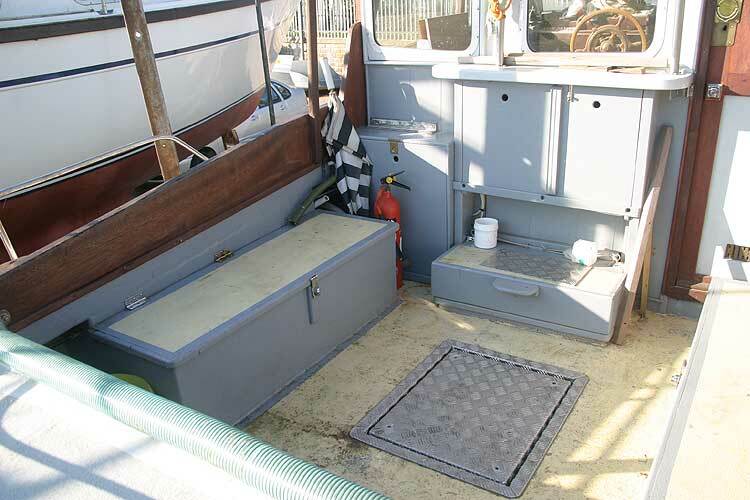 The final layout is still open to a final plan. 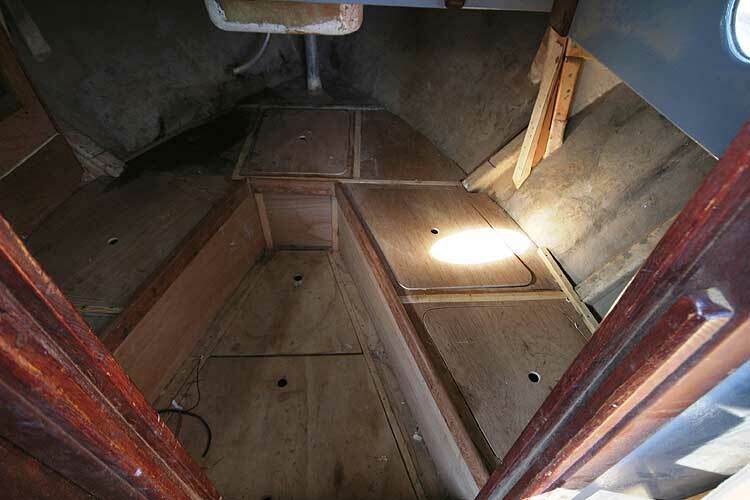 This boat is no longer for sale and remains here solely as an information resource for those researching Senior 23 derivative's.